Tomorrow November 5th, 2016 Twitch streamers and charity do-gooders across the interwebs will be streaming games to benefit something other than their sub count. For those unfamiliar, the Extra Life charity stream will be going down to benefit children’s hospitals. Streamers are expected to stream for 24 hours (although they have become more relaxed on that rule) to attempt to raise any amount of money towards children’s hospitals in their area. Be sure to show your support to your favorite streamer or any streamer that wants to help children and families who can’t help themselves. There is still time to register if you’re interested in participating. If you would like more details on event you can visit their main page. 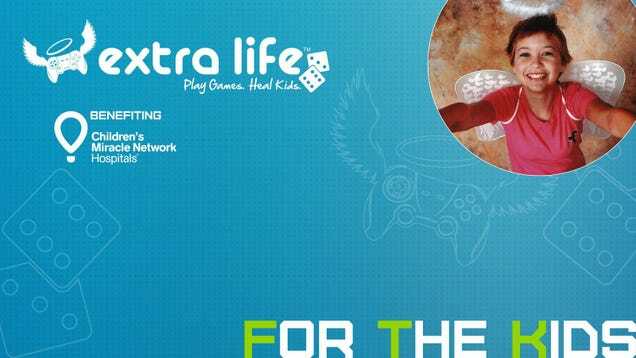 You can also follow the organization on Twitter @ExtraLife4Kids. If you are a TAYer and will be participating let us know so we can come and support you and this awesome cause.